In 2012 Stavanger municipality and Stavanger Tourist Organisation launched a unique public health project called “52 everyday trips”. Every week a new walk, with a detailed map, was presented in the newspaper. The idea was to present the public for well marked routes right outside their own houses, making everyday activity an easier task. My mother & father walked all the routes last year, this year she is doing them again with my sister and me. Every Monday afternoon we set out for a new hike. Today we walked trip no. 5; Marieroturen – which is 9,6 km (ca. 5 miles) long, it took us exactly 2h. “52 everyday trips” is a great project – I have lived in the municipality of Stavanger for 46 years, but still there are lots of places to discover, and re-discover. And of course I have to admit; these mini-hikes are also a fabulous opportunity to spend some genuine quality time with my sister & mother. 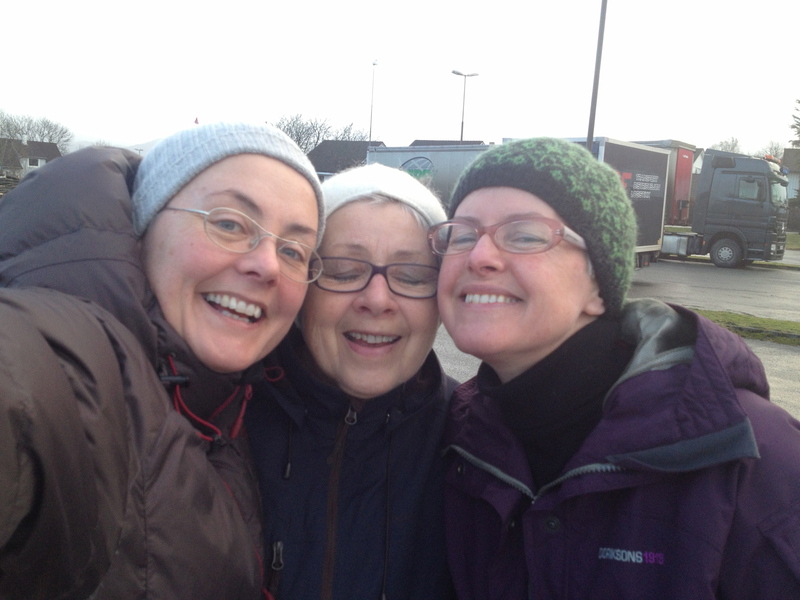 No men, no kids, no dogs – just the three of us walking & talking. Sounds great Sigrun – I love discovering on home ground! I found my slides of my trip to Stavanger, and other places in Norway, at the weekend funnily enough. I am going to convert some to digital so might do some posts sometime! Oh – that would be great fun, when was it? It was actually 1992, so long ago! Birdwatching sounds great fun too! Did you ever read “Findings” by Kathleen Jamie? Its a great book of essays on – amongst other things – birds. Oh just as I’m trying to fulfil my resolution of reading only from my TBR list, I now have to add this! 😉 I’ve read reviews of it, and thought I would love this book. I just check the public library but they don’t have it. So I’ll have to buy it myself now. Lovely happy photo, and a great project! My daughter’s school (all 300 kids) is doing a neighbourhood walk next week – I love the idea of this, as opposed to the usual morning run or race or whatever. Time together as a group to explore the neighbourhood and get some fresh air. So simple, one wonders why we don’t do more of it? Can’t wait! The simplicity – YES, exactly, thats what I like too!